On November 18, the Combating Online Infringement and Counterfeits Act (S.3804) was placed on the U.S. Senate Legislative Calendar for a date yet to be determined. COICA, as it is also known, would give the Department of Justice an expedited process to shut down websites which infringe upon U.S. copyrights. In May, The Congressional Anti-Piracy Caucus named Canada, China, Mexico, Russia and Spain on its 2010 priority watch list as countries with rampant copyright piracy issues. Although U.S. copyright laws cannot be enforced against individuals who live in other countries, COICA would give the DOJ the means to shut sites down via third parties such as Internet Service Providers (ISPs) and domain registrars. Gawker recently leaked excerpts of Sarah Palin’s new book, America By Heart: Reflections on Family, Faith and Flag, before its release. Other blogs also leaked excerpts, but Gawker refused to remove the 21 pages from its site after receiving a letter on behalf of Palin’s publisher, HaperCollins, demanding it to do so. Gawker claimed “Fair Use,” but a federal judge ordered an injunction which prohibits the site from “continuing to distribute, publish or otherwise transmit pages from the book” pending a hearing that was to happen November 30. HarperCollins filed suit against Gawker Media LLC for copyright infringement, but the two have reached an out-of-court settlement, the details of which have not been released. Although the official announcement does not specifically talk about website plagiarism, this new development is a form of high-tech attribution. Google has various algorithms that determine a site’s rank in search engine results, giving higher priority to original content. The two new metatags won’t influence page rank, however — at least not until Google has determined the best use for them. The bad news is that this is probably the final straw for Cooks Source. We have never been a great money-maker even with all the good we do for businesses. Having a black mark wont help… and now, our black mark will become our shroud. 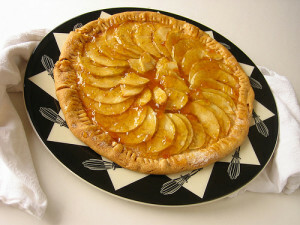 Apple tart image by WorthTheWisk.com, used under its Creative Commons license. 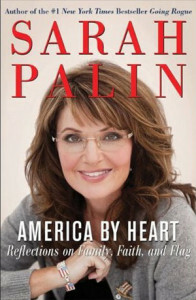 America By Heart book cover used under Fair Use: Reporting.